Over the last couple of years doing reviews, I've found myself covering more shorter gaming experiences, with these games more about the short experience rather than something that will be with you a few weeks down the line. While some of these games can be forgettable, some of them while not being a long lasting experience do stick with you if they nailed the story that it gives to you. 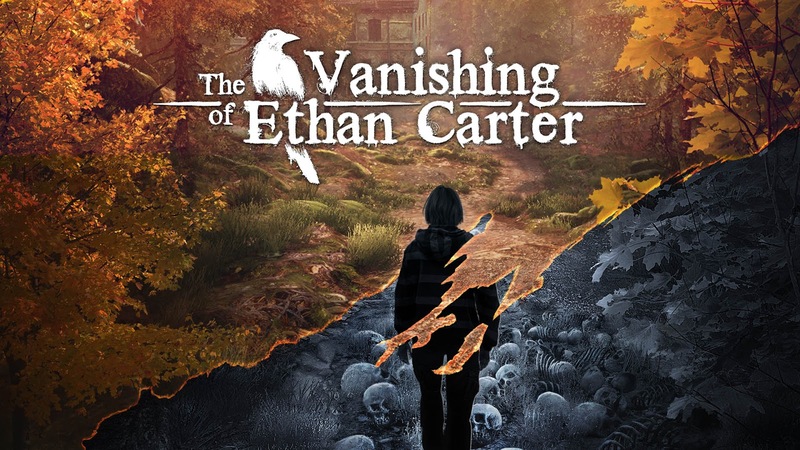 Games like RiME and What Remains of Edith Finch are two games that instantly spring to mind, but going into The Vanishing of Ethan Carter only hearing it was a game that some followers enjoyed, I never really knew what to expect from it at all. In The Vanishing of Ethan Carter you play the game as Paul Prospero, a detective who at the start of the games speaks about receiving a letter from a young kid called (you guessed it) Ethan Carter, and taking place in Red Creek Valley. Carrying on from there, you must walk around and explore this place for clues to unravel what is going on and what dark things have taken place, but I'm not going to talk about that in a review as that would take away from the somewhat short story that is littered with twist and turns along the way. The game sees you mostly working out murder scenes in the way of finding all the scenes needed and then placing them in the right order. You also have to find a few items along the way to get the full story too. The game will take about two to three hours to finish with a bit of exploring and a cheeky guide never far away, but going in with nothing you can expect that to rise to about four, with a lot of ground to cover and also just the game not pointing you in any direction whatsoever, but also being the best way to play the game. While I can't say I found myself having the same connection with this game when compared with the likes of the games I mentioned previously (RiME/Edith Finch), Ethan Carter was an enjoyable game when getting to grips with it all, but I can't lie and say a helpful guide never came into play on moments of not knowing what to do. The game does warn you at the very start that it is a narrative experience which does not hold your hand, so because of that, it will put some off. I came to a compromise of trying my best to do what I could by myself, but at the same time having this guide loaded up ready if I found myself being clueless on what to do next. Overall: Not a memorable as other story-driven games seen released on the console, but none the less, a decent game that will be enjoyable with the few hours spent with it. The £15.99/$19.99 asking price for what is a short experience will, of course, upset a few out there too. Those who love buying games for easy achievements points though should be over this, with 1000G sitting happily on my Gamertag now, and I'm a noob. The game is also gorgeous to look at when looking into the horizon, so of course, the game offers a free roam mode for those who are into there decent looking scenery, more so for those with an X. Has a free roam mode in it, but I could get the same sort of gorgeous scenery while shooting things playing TheHunter: Call of The Wild. So wasn't really something I found myself using once the game was finished. That's my problem with walking simulator games. You can finish them quick and there's no reason to replay them. Still, games like Edith Finch are worth it simply for the story alone. It basically comes down to story enjoyment and that's such a subjective thing. Sounds good but I'll get it on sale or something. Thanks for the review, Tony. Always a good read!